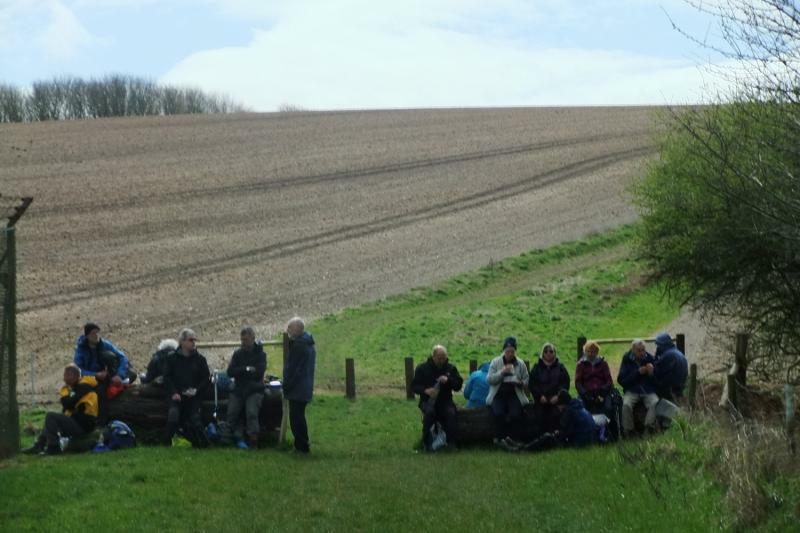 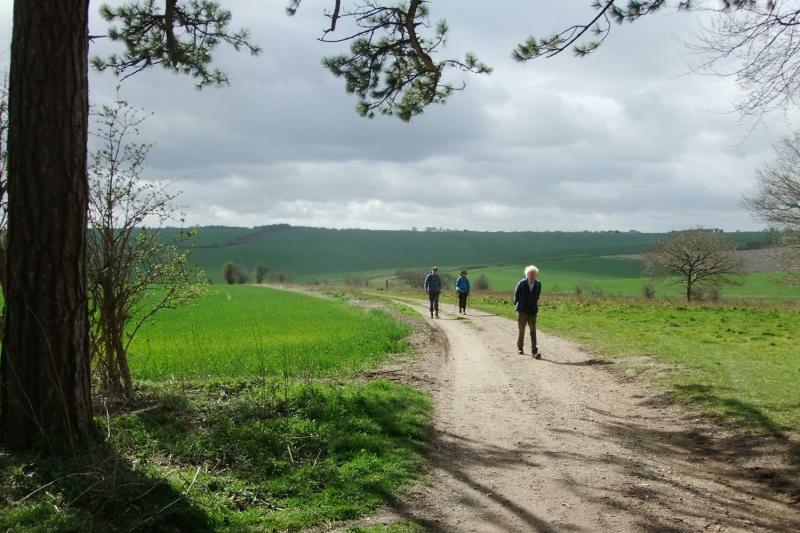 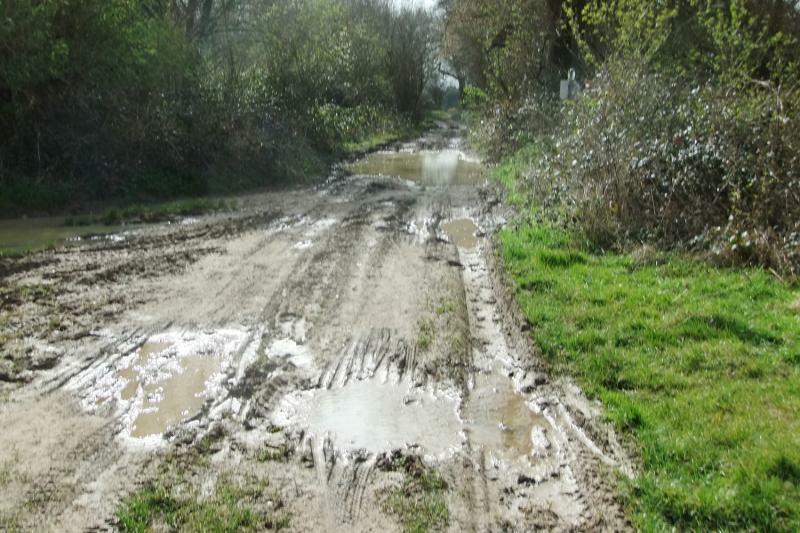 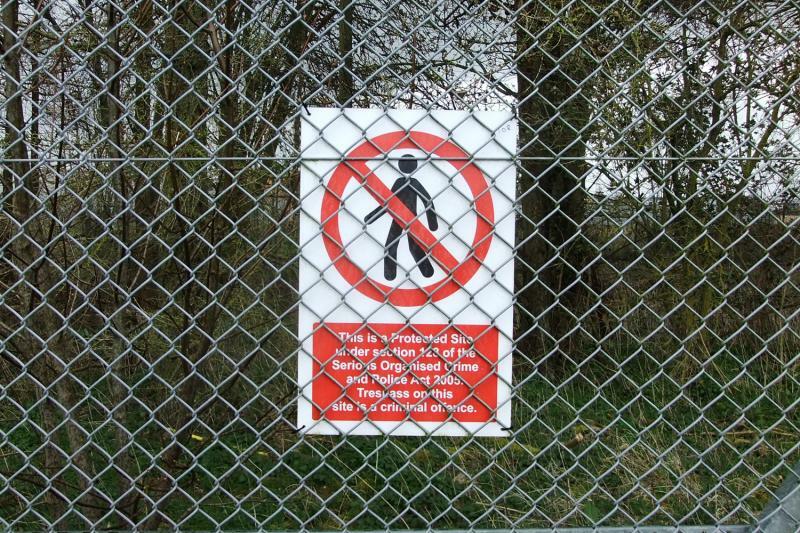 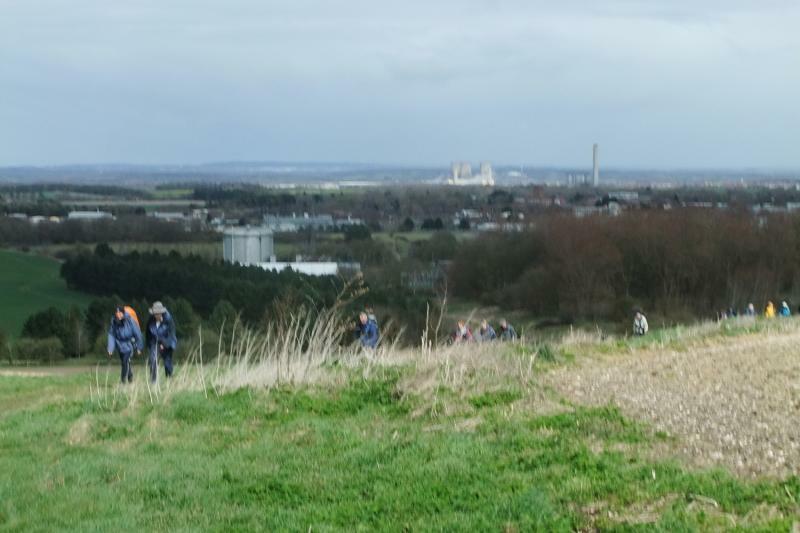 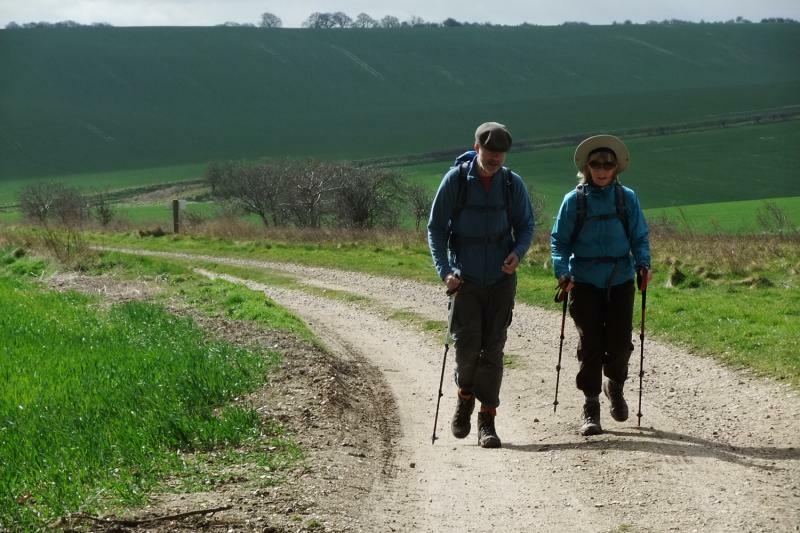 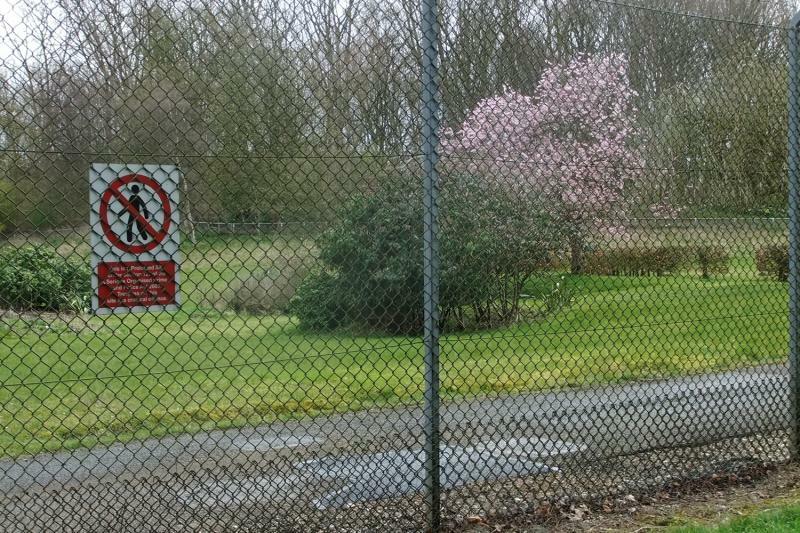 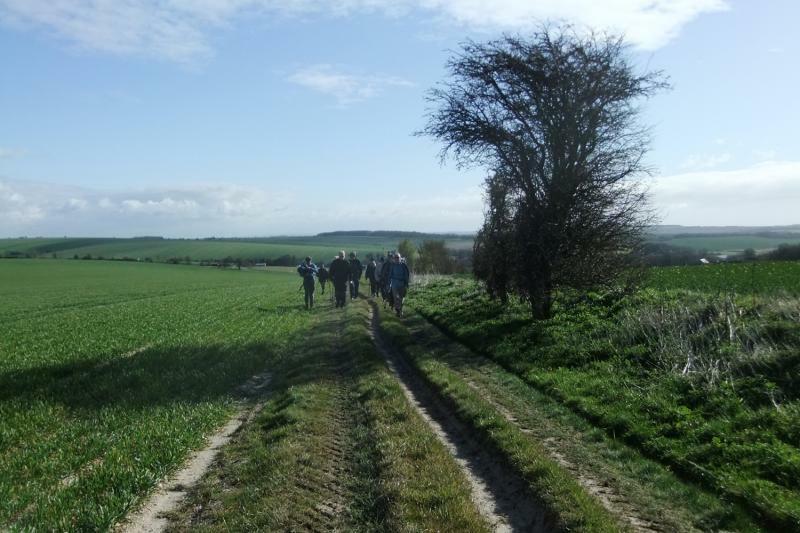 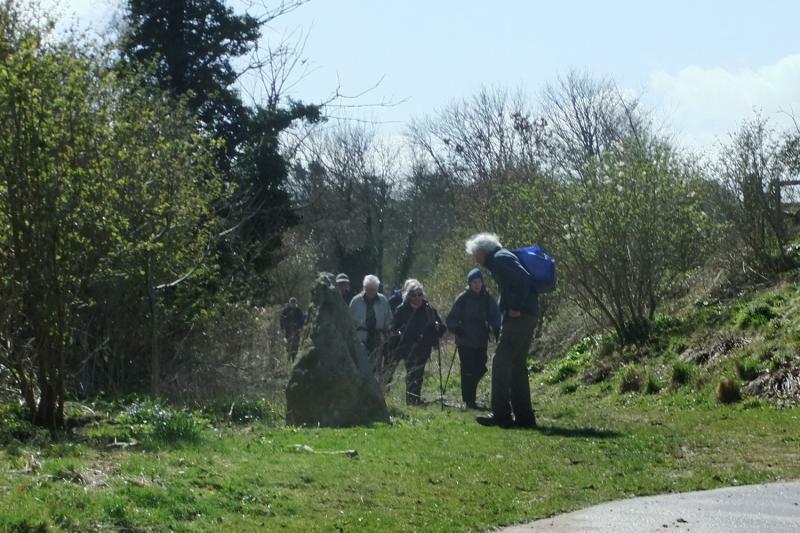 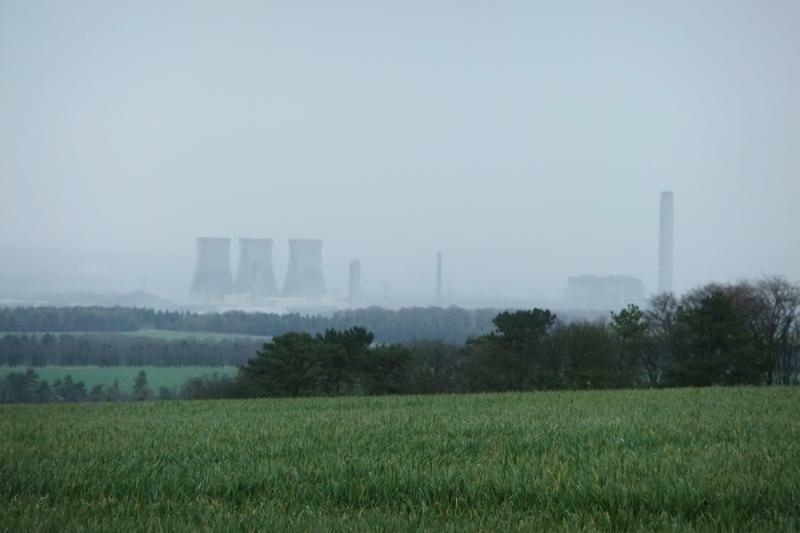 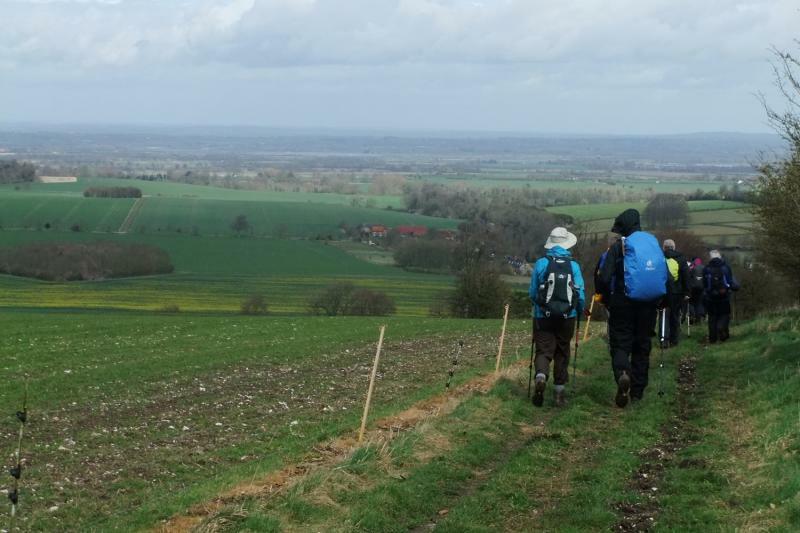 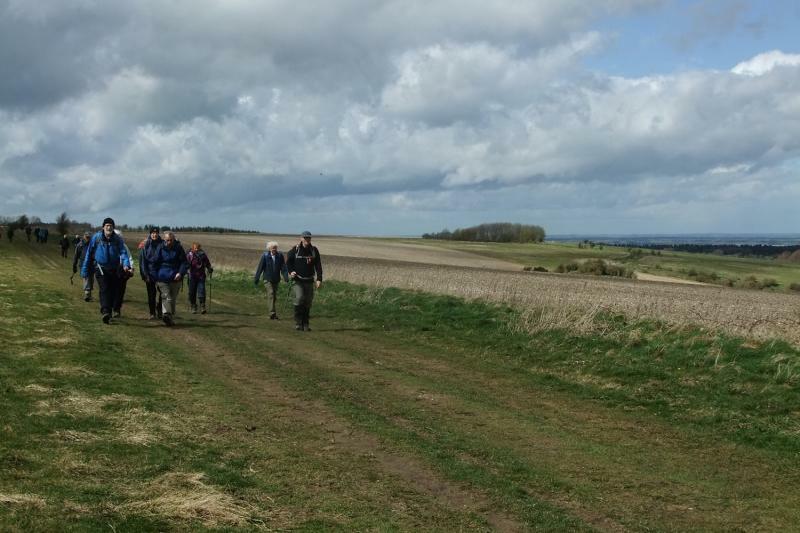 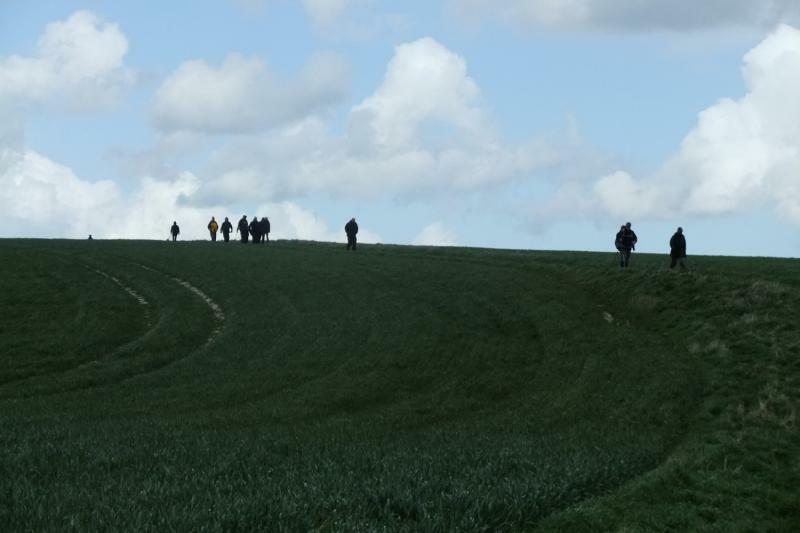 "An April Amble" was actually not an AAA walk but a midweek one on 6th April 2016. 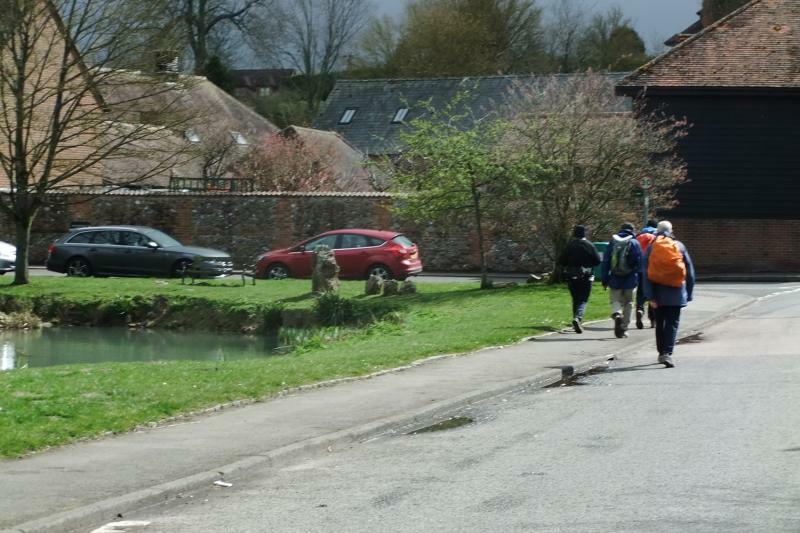 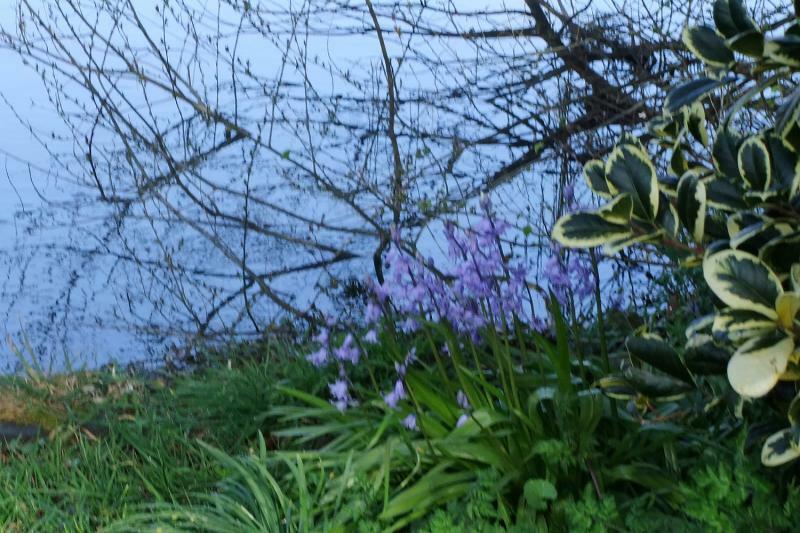 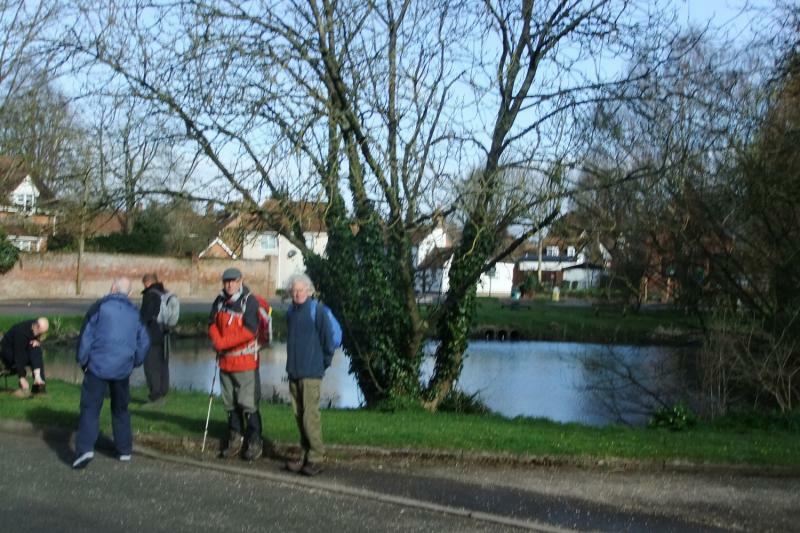 Starting at East Ilsley village pond, the route circled west and north to the Ridgeway near Ginge Down. 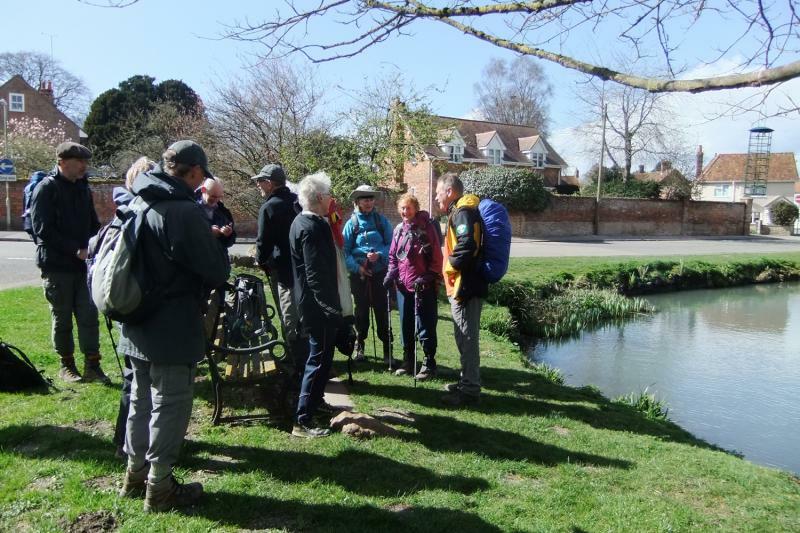 The next day Ginge Manor House, the seat of SamCam's stepfather Viscount Waldorf Astor, got a mention in the news (on the periphery of the offshore funds coverage) and we must have walked very close to it at Ginge Brook. 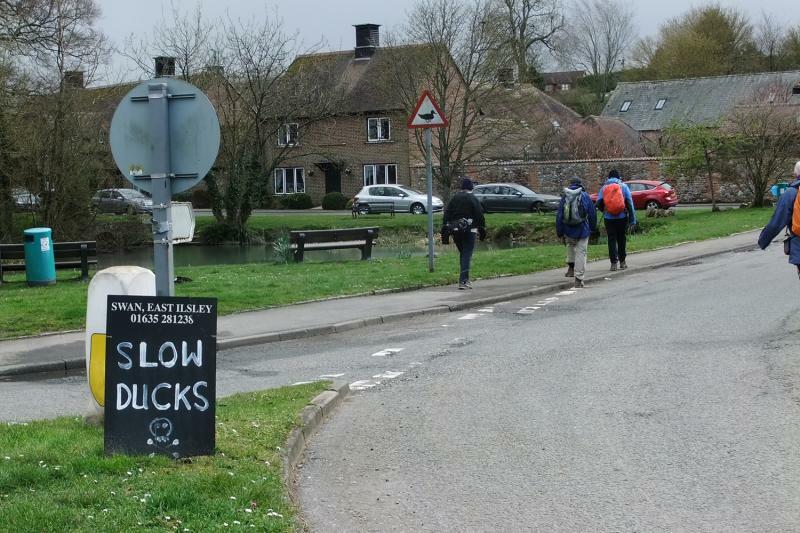 It would have made a pleasant coffee stop. 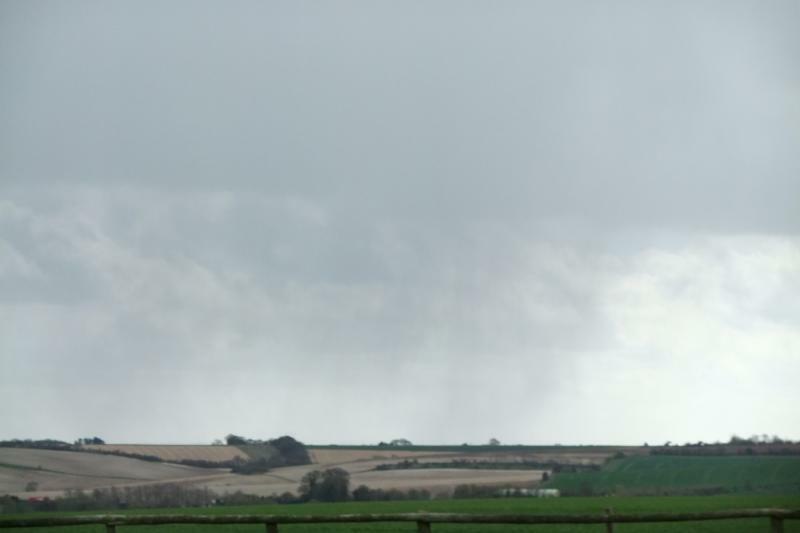 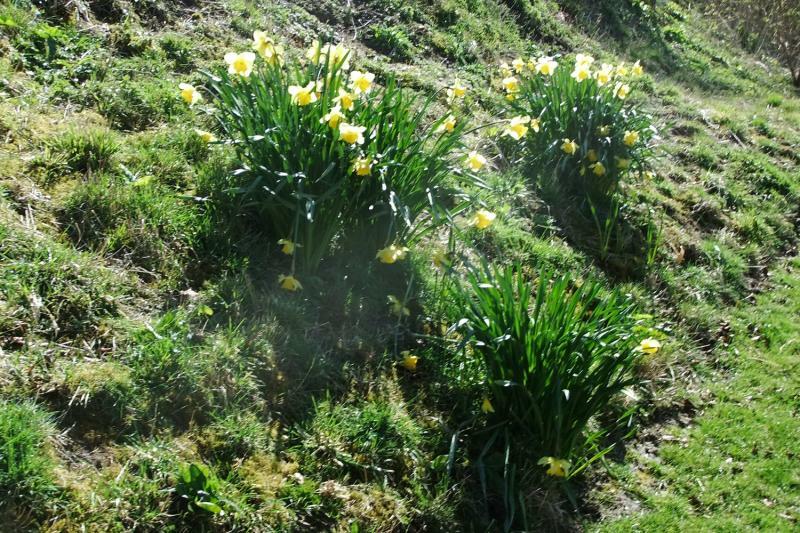 The weather did exactly "what it says on the tin" for early April: heavy showers, blustery at times, and bright sunshine in between. 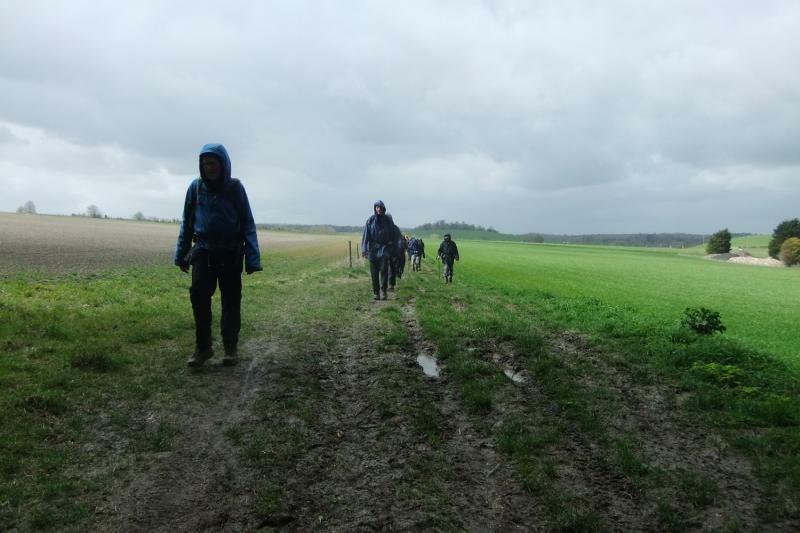 As soon as we all put waterproofs on, someone said that would make it stop raining, and it promptly did, until it started again. 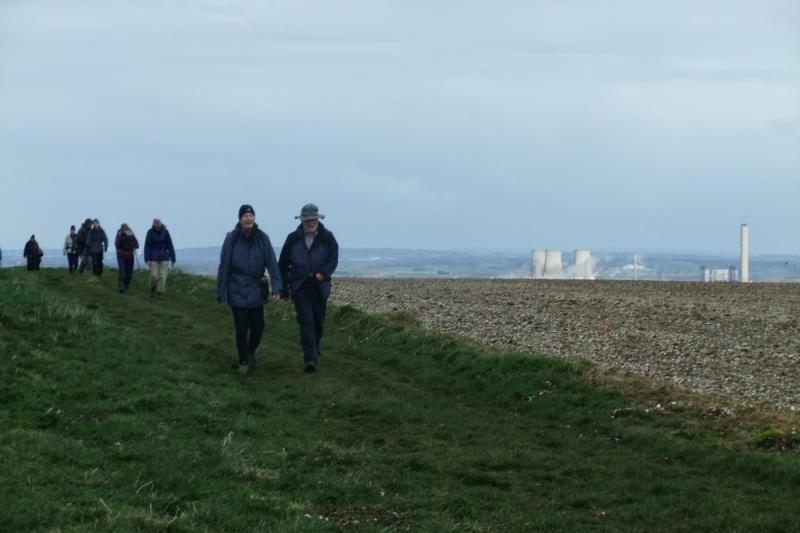 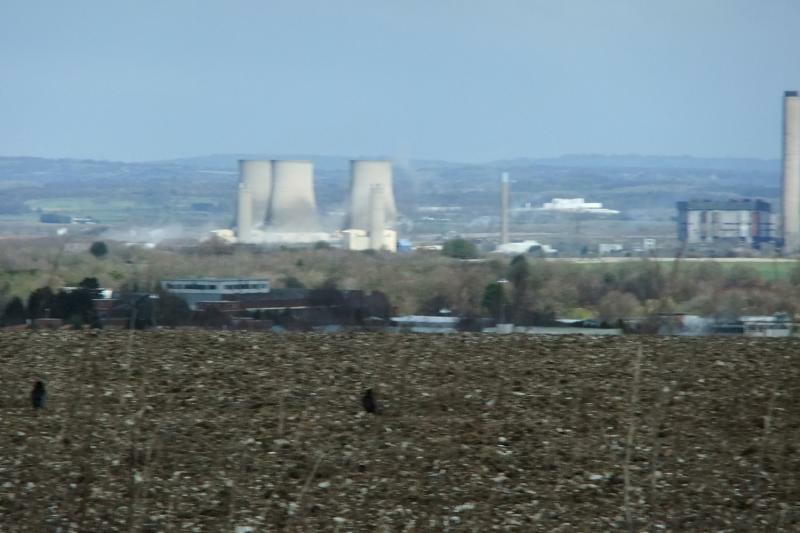 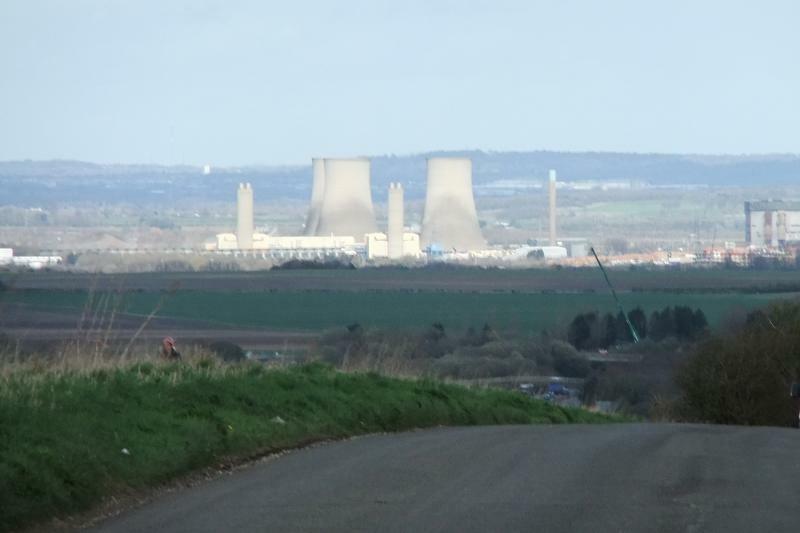 The return route after a lunch stop at Harwell was on the Ridgeway, soon with clear views well beyond the Wittenham Clumps to the bulk of the Chilterns and later Blewbury Down beyond the A34 before turning back down to East Ilsley.